Sometimes transactions show up that you might consider unimportant (such as a transfer of money from one account to another one). 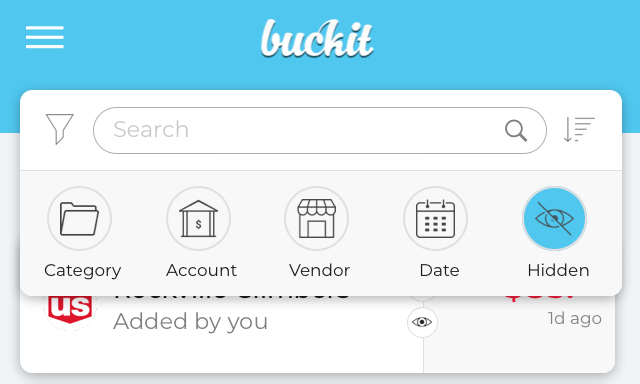 In this case you can easily hide these transactions, once hidden they are no longer visible in the My Money screens or any other analytics that are computed by Buckit. 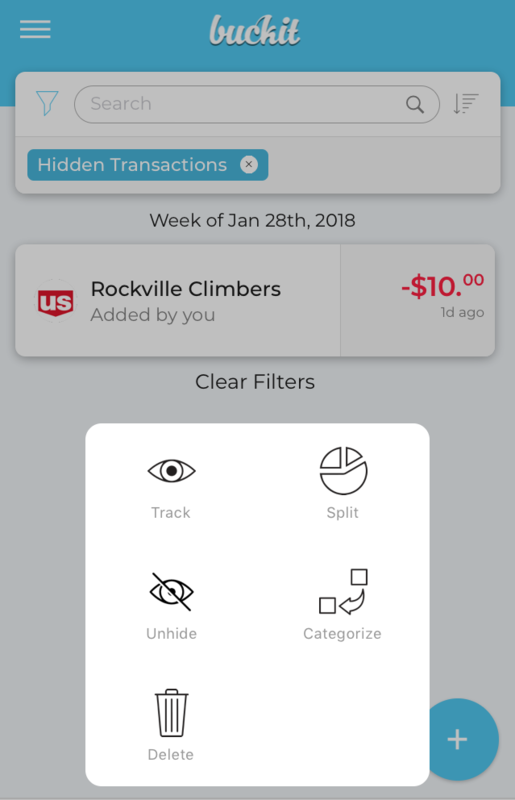 To hide your transaction just click it and then select hide. 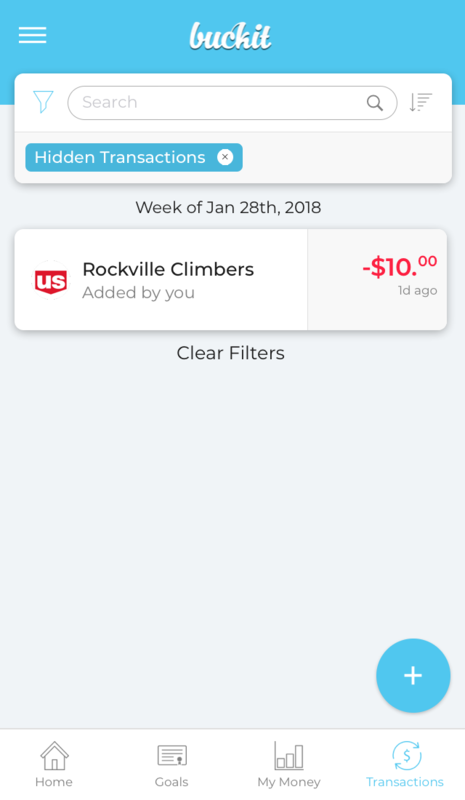 This option will set a filter tag on top of screen and only the hidden transactions will show up. If you click on a hidden transaction you can use the unhide option to make it normal again.